It’s that time of the year again. As we prepare for a new year of video marketing awesomeness, let’s discuss about video marketing trends and predictions for 2018. And this year, social media platforms are betting big on videos. Facebook is gearing up to become the biggest video sharing platform, Instagram is changing the way how brands communicate with their followers and Quora has also recently joined the video bandwagon. Our video marketing trends blog for 2017 gained a lot of clout over the year as a lot of our predictions became true. So, we’ve decided to follow suit and forecast what’s next for 2018 too. The trends discussed below are all you need to make a solid video marketing plan for this new year. 1. Facebook vs YouTube - The real war has just begun! 5. 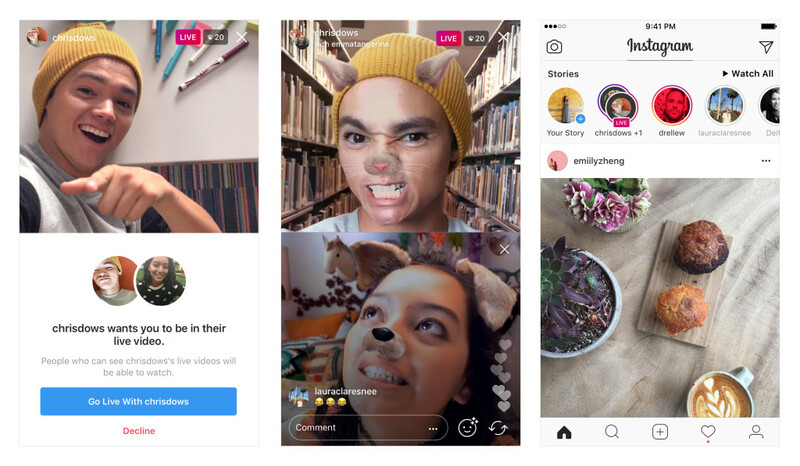 Insta-stories and Snap-stories will have new competition! 1.Facebook vs YouTube - The real war has just begun! We all know that Facebook doesn't like competition. So far they have managed to successfully acquire, outpace and outgrow several other social media networks. As a platform which takes videos more seriously than other content formats, Facebook is now ultimately aiming to become the biggest video sharing platform by taking on Youtube with their recent introduction, Facebook Watch. 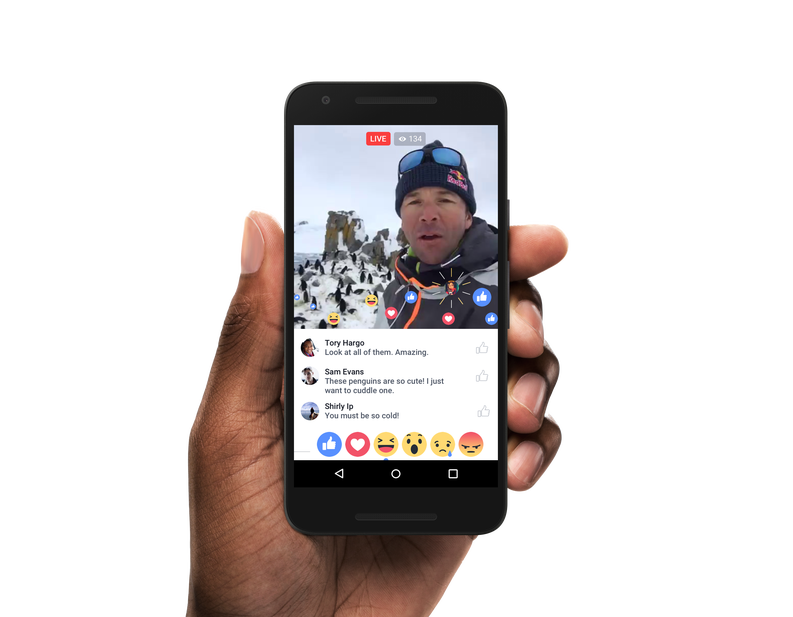 Facebook Watch is said to feature personalized recommendations of long-form live streams and original content. This will allow users to discover new shows to enjoy with their friends, find new episodes based on what's trending, and even save episodes to view for later. For publishers, Watch seems to be a platform that can help them build a passionate following and make money, as Facebook shares 55% of its ad revenue with them. Moreover, as Facebook receives more than 8 billion daily video views, it is only a matter of time before YouTube loses its #1 position. 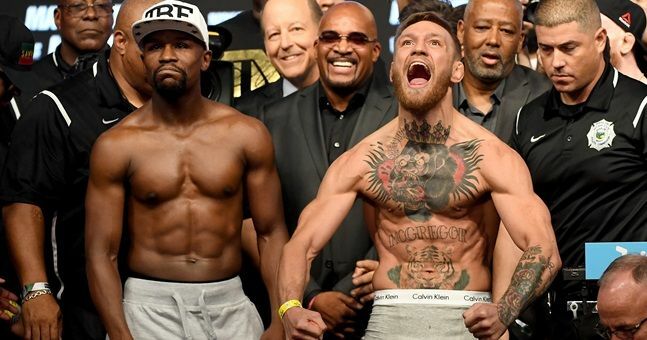 Seems like this battle for supremacy will be as interesting as the McGregor vs Mayweather boxing match. Key Takeaway: Facebook watch will be a revolutionary new platform to deliver content to a large set of captive audiences. If YouTube remains dormant to the threat and doesn’t take on this challenge head-on, they might even lose their video crown to Facebook. Start working on a plan for Facebook Watch. You should either build your own audience or collaborate with other Facebook watch influencers. 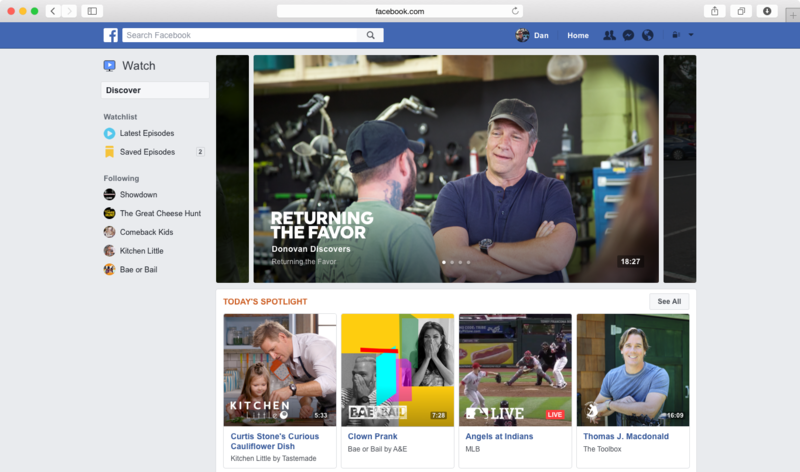 By being prepared, you can take full advantage of Facebook watch when it hits the market. Videos have the ability to connect with any type of audience. 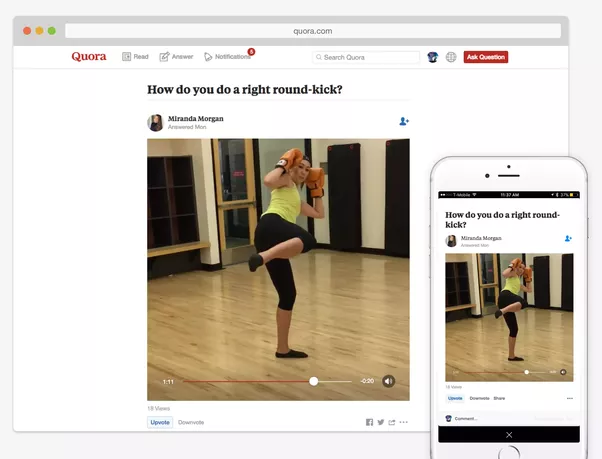 The king of Q&A, Quora is the latest to join the bandwagon by introducing the ability to post video answers. Quora has already killed traditional QnA giant “Yahoo Answers”. With the introduction of native video answers, they are planning to capture the How-To video market as well. There is a very good chance that they’ll take the “Facebook” route and give less preference to Youtube videos in answer feeds. They are also better equipped to answer How-To questions as it works on a QnA model. Moreover, video answers are directly relevant to real life questions people are searching for. All these factors can permanently steal all the How-To video traffic from Youtube. Key Takeaway: Quora Videos can be a natural way to demonstrate your business as a solution to problems asked by real people. As it’s still in its early stage, the amount of competition is also less. If you make a plan and execute it well, Quora Videos can be an amazing Growth Hacking tool in 2018. Ever since Pinterest enabled promoted video, the platform has experienced a significant increase in video pins and as per Pinterest's projections, the numbers are expected to increase even in 2018. The platform has recently introduced auto-played video promotion, thereby allowing advertisers to run video promotions that will play automatically in a pinner’s home feed. 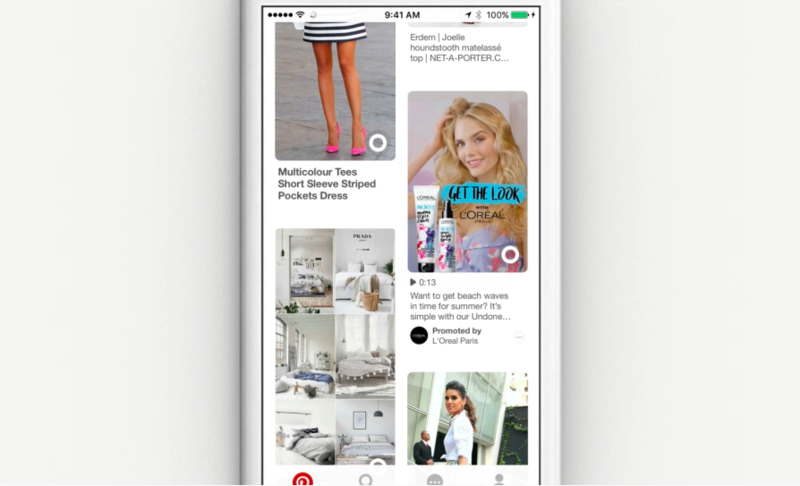 Since Pinterest is a platform with 81% of female users and as women naturally browse for new brands/products it becomes a natural market to target female users. Along with showing up in a pinner's feed, the promoted video will also autoplay in their search results. 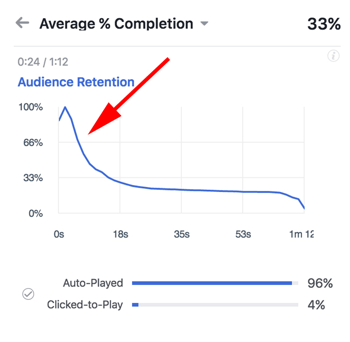 This is in contrast to other platforms, where a promoted video interrupts users while they are enjoying a video. This blended video pin ensures that it doesn’t affect the user experience. Imagine that you are a wedding cake vendor. What if you had the ability to target specific search results like “Beautiful wedding cakes” with video pins(showing your beautiful cakes). Won’t that be the dream? Moreover, Pinterest also incentivizes advertisers by costing them less, if their promoted video is consumed more. On an average, the cost for 1000 impressions with promoted video varies between 15$ - 20$ on Pinterest. Brands like L'Oréal Paris and P&G are already experiencing success with this feature. Key Takeaway: Pinterest is a platform where women constantly search for something new. Hence, by using its new auto-played video promotion, you can instantly reach female pinners when they are searching for related keywords. We all have witnessed live heated debates in news channels, where the news anchor interviews a person from a remote location. 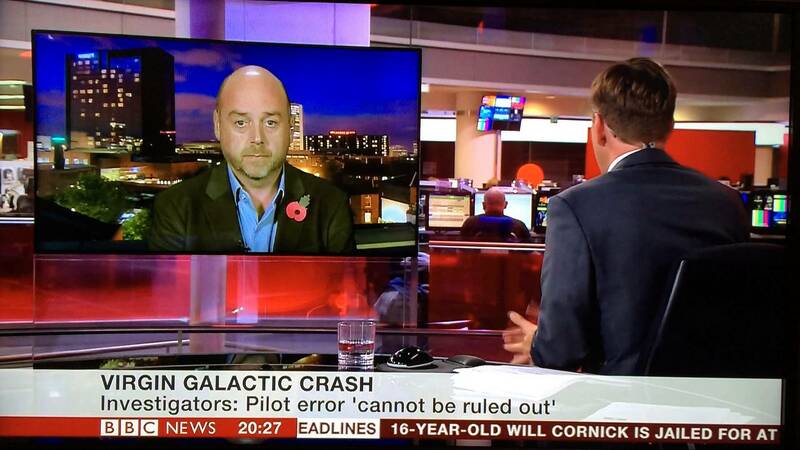 This was possible only with complex equipment and support systems. These days, with the help of social media, this is possible with just your smartphone. Now with Instagram launching the ability to go live with a friend you can take video collaboration to a whole new level. Invite any of your friends to have a live face-to-face conversation, for both your followers to watch and engage. As live collaborations will be visible to both the collaborators’ followers, this will result in a spillover of followers and also attract new followers. The result will be exponential follower growth for both the collaborators. Key Takeaway: Collaborations were a bit hard in the past because you needed to be physically present with your collaborator. With this awesome feature, you can collaborate from anywhere around the world! So now you have no excuse to not take this route! Make Video Collaborations part of your main strategy. Collaborate at least once every other week. Originally introduced by Snapchat and successfully adapted by Instagram, Facebook, and Whatsapp, now even Youtube and Medium are following suit and adding stories to their platform. Reels is Youtube's own version of stories and will be available exclusively for creators in a dedicated tab in their channel. Although inspired by Snapchat stories, Reels is not an exact copy of it. Creators on Youtube can make multiple un-expiring reels, whereas that's not the case with other platforms. As far as viewers are concerned, they won't experience stories the way they do on other platforms since they have to manually go to a creator's channel to engage with them. Depending on how a viewer engages with various reels, they might show up on the viewer’s Youtube homepage as recommendations. YouTube is currently testing this feature in beta to a limited group of people. It should see an open launch pretty soon. As more and more mobile users are turning to Medium, the online publishing platform has come up with their own version of stories which they call as Series. Medium believes it’s a new way of telling stories on medium that’ll provide a seamless experience for both the writers and their readers. With the introduction of a fun feature like Series, Medium is sprinkling some modern spice to their mobile platform, giving more reasons for Snapchat and Instagram users to migrate to its platform. Key Takeaway: Though they are late, players like Youtube and Medium have slowly joined the “story” wagon. Most people are not even aware of this right now which means very little competition! If you consistently create stories here, you will reap maximum benefits. Think of all those people who adopted Instagram and Snapchat stories in their early stages. They are HUGE now. You could be the same on Youtube and Medium. As we predicted in the beginning of 2017, the number of people engaging with live videos has increased exponentially year over year. Social Media platforms are giving more importance to live videos and are constantly looking for ways to improve both the user and publisher experience. Reportedly, 1 in every 5 Facebook video is live and is watched 3 times longer than normal videos. This number will only increase thanks to the Facebook creator App which has revolutionized the way people do live-streaming. Even teenagers have embraced the Live-Video trend thanks to Live.ly - Musical.ly’s live streaming platform. It has given rise to a new wave of teen influencers. This is yet another validation that live videos are set to dominate generations to come. Key Takeaway: There is no doubt that live video will take over 2018. You can do anything from QnA sessions, live demos to even live product launches! Think of creatively using Live Videos in your video marketing strategy. Capitalize on this trend and start with live videos ASAP. The dominant visual media has for so long conditioned us to experience videos horizontally. But with the recent evolution of social media networks like Snapchat and Instagram, it’s time to finally accept that time is indeed changing. Regarded as the platform which ignited the vertical video revolution, Snapchat witnessed a 9x increase in engagement with their vertical video ads. Moreover, we at Animaker witnessed that vertical videos reach 58% more people when compared with horizontal. Instagram is a live case study as to how square-shaped videos have been revolutionizing mobile user experience in social media. 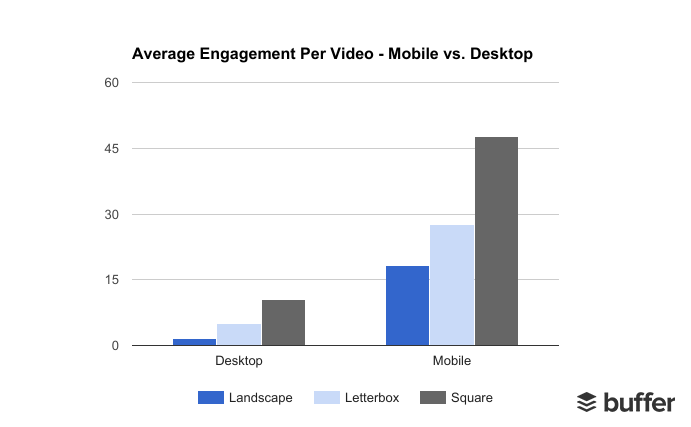 When buffer compared the metrics of square-shaped videos with landscape videos, they found that square-shaped videos have outperformed landscape videos on all social media platforms in terms of both views and engagement. 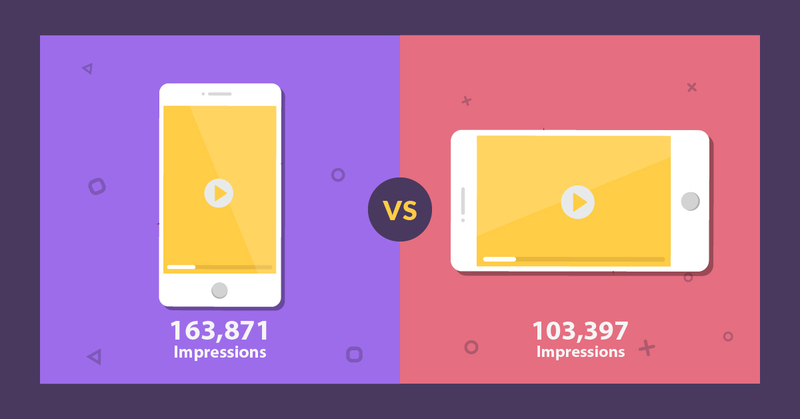 Moreover, advertising costs with square-shaped videos were also found to be less. Considering the recent advent of all-screen mobile devices and with the drastic rise of mobile content consumption, it only makes sense to use more of mobile-friendly videos in your marketing strategy, as they naturally occupy more screen space and lead to better engagement rates. Key Takeaway: With social media content consumption moving exclusively to mobile, 2018 will be the year when platforms will push only mobile optimised content for better reach. So, make sure to optimize your social media videos for mobile users. The proliferation of AR(Augmented Reality) on mobile devices provides an engaging way for businesses to reach their audience. Moreover, with the recent introduction of iPhone 8 and iPhone X, Apple has made it clear that they are pushing Augmented Reality for the masses. Apple also introduced ARkit, a platform which developers can use to develop AR applications for both iPhone and iPad. AR provides a unique opportunity for brands, as it has the natural ability to garner organic reach on social media. Key Takeaway: Now that Augmented Reality has become a reality, think about how you can develop branded augmented experiences for your customers. Capitalising on this trend will help you stay ahead of your competitors. Facebook recorded a 47% surge in ad revenue in their earnings call in early 2017, increasing their ad revenue to nearly $9.2 billion and much of this came from video ads. The company's COO, Sheryl Sandberg said the company is also pushing its advertisers to short-form advertising. A move that even Youtube has been stressing for a while. She also mentioned about Tropicana’s recent experiment with multiple (6 sec, 15 sec & 30 sec) video ads on Facebook and witnessed that the shortest video garnered better engagement metrics. According to both Youtube and Facebook, short-form advertising is all about effectively competing for user’s attention as they scroll through their home feed. Moreover, Social Media Examiner witnessed a significant drop in views after a few seconds with Facebook video Ads. Youtube released their own list of top performing short video ads, in which Samsung’s 6-sec video ad ranked top. Key Takeaway: To run an effective video advertising campaign, make sure you create an impact in the first few seconds. Keep your promotional videos to not more than 10 secs, especially when it’s an in-stream video ad. Historically we have always witnessed early adopters of social media platforms eating a major portion of the pie. So, capitalizing on these trends early will help you stay ahead of your competitors. Make sure to consider these trends while drafting your marketing action plan for 2018. What do you think about the trends mentioned above? Did we miss out on any? Let us know in the comments below!